Chandigarh also called the City beautiful is known for its beautiful gardens, lake, markets, renowned schools, educational institutions, and more. It is one of the most well-planned cities in India, which makes it very attractive to home buyers. Chandigarh is one of the most popular tourist destinations in North India, and is the capital of both Haryana and Punjab. The city has seen immense growth over the last few years, with the opening of the Rajiv Gandhi IT Park, as well as the International airport. The software and IT industries have seen immense growth in Chandigarh. Now a number of skilled professionals are migrating to the city in search for jobs in the IT sector. The Chandigarh administration is also encouraging software companies to set shop in Chandigarh and giving them incentives. There has been an increase in investment in the city, due to its excellent infrastructure. Chandigarh boasts of an excellent road network which connects it to all the surrounding areas. One of the areas in Chandigarh, which is poised for growth, is Banur. The area has seen excellent developments due to its proximity to the Delhi Highway. The area is dotted with a number of new residential and commercial projects. Sophisticated living conditions, convenient location and affordable pricing define the limitless possibilities of investors in this region. Property in Banur has seen immense demand over the last few years. A number of developers have launched there projects in Banur to meet the increasing demand from home buyers. The Universal Taj Towers is one of the most promising residential housing projects coming up in Banur, in Chandigarh. This is among the best properties in Banur, considering the quality of architecture and detailed planning. 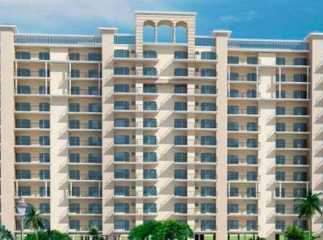 The urbane housing project is being developed by Universal, one of the leading names in the real estate industry. The prices of flats in Banur are still affordable as compared with other surrounding areas like Panchkula and Mohali, making it the ideal time to invest. The area has a well-knit network of roads around, besides being in close proximity to the highway. Investing in upcoming project Banur Chandigarh will reap excellent returns over the next few years. From medical facilities to hospitals and educational infrastructure, Banur is witnessing extensive growth. There are a number of apartments in Banur, which are available at a competitive price to home buyers. The apartments assure a paramount quality of lifestyle for buyers, due to easy accessibility to the surrounding areas. If you are looking to invest property in Banur Chandigarh, this is the right time. Reasonable pricing and the availability of a vast plethora of amenities presents buyers with one of the best opportunities. If you are looking for the right opportunity to invest in Chandigarh, Banur offers a lucrative option. The area is expected give excellent returns on investment in the long run.